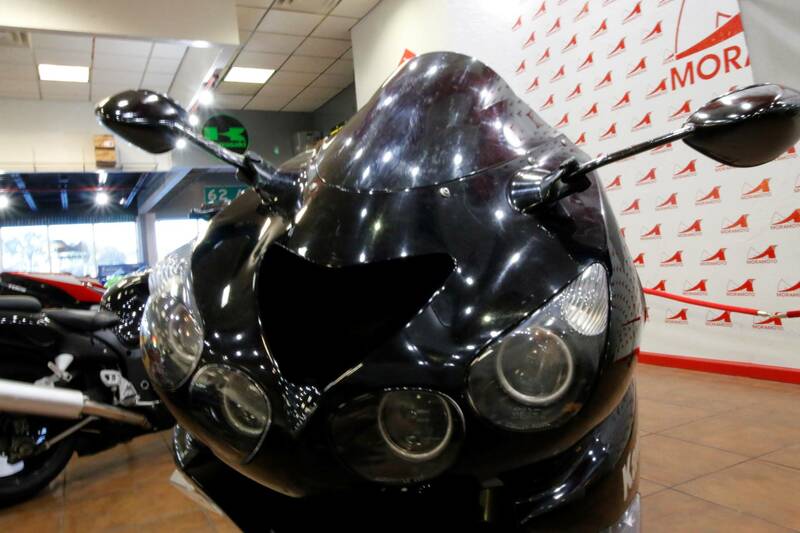 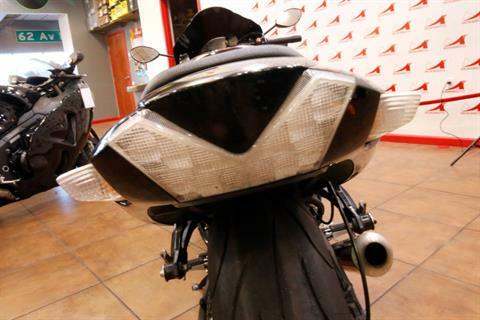 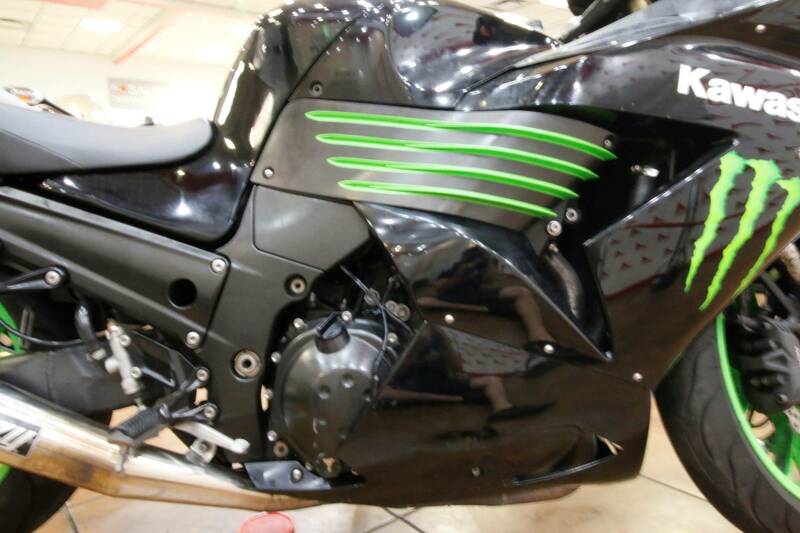 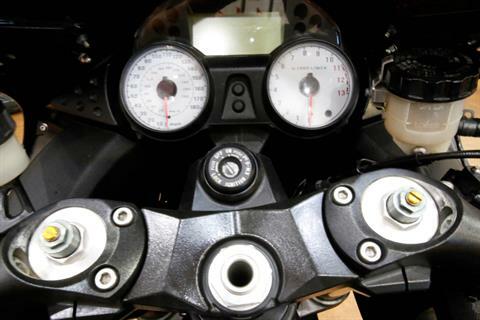 Ultimate Ninja® superbike adds ominous looks to its repertoire. 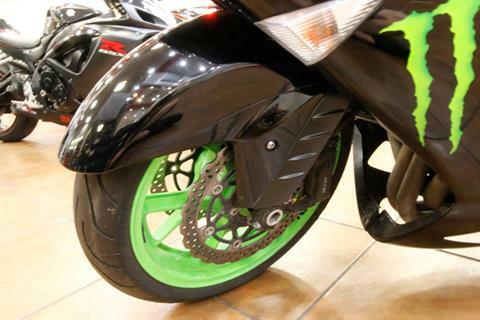 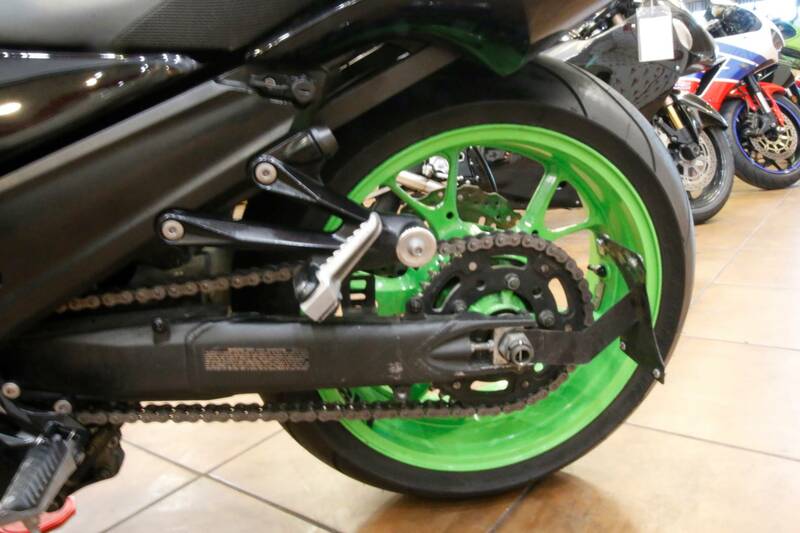 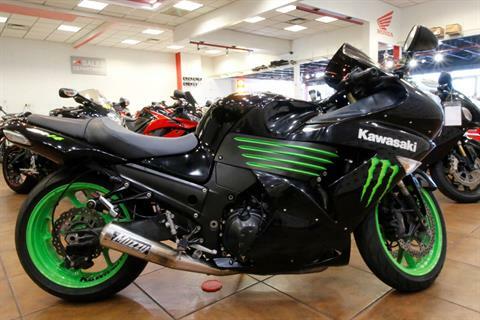 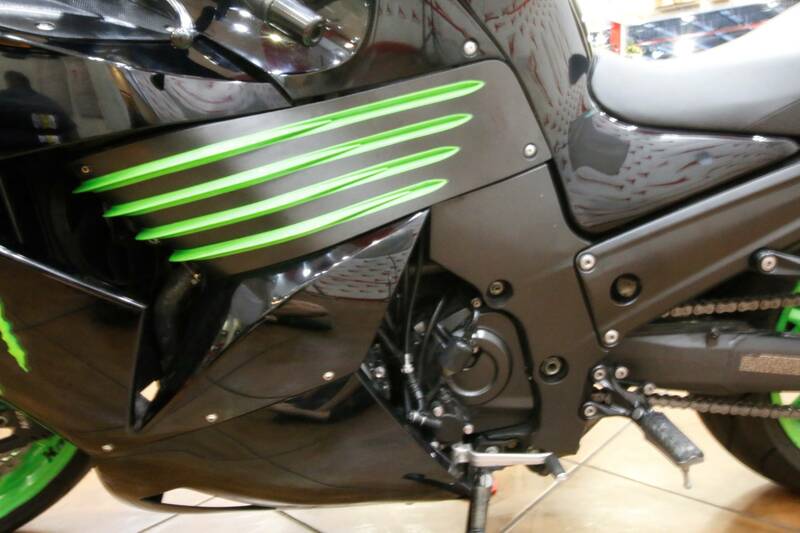 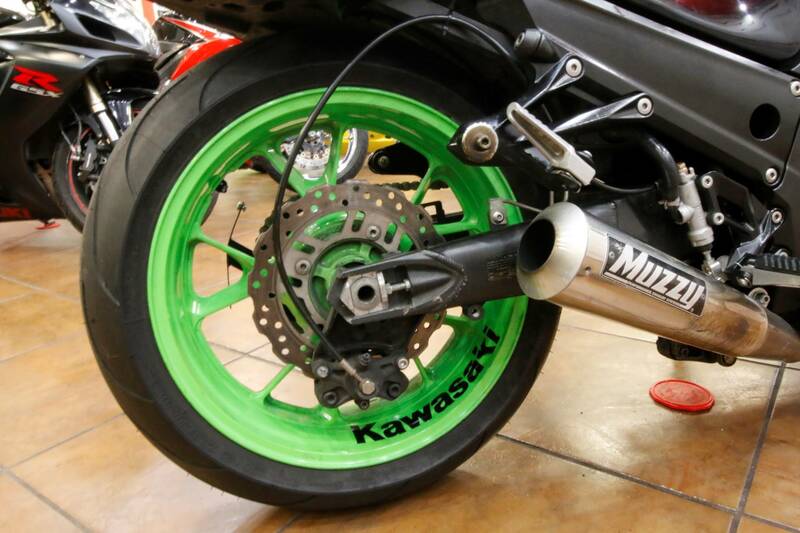 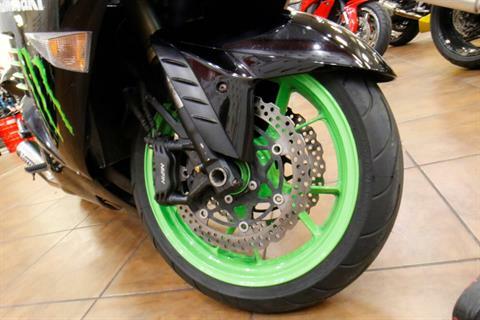 For riders looking to shock and awe their rivals, the sinister looking special edition Kawasaki Ninja® ZX™-14 Monster Energy® is the sportbike of choice. 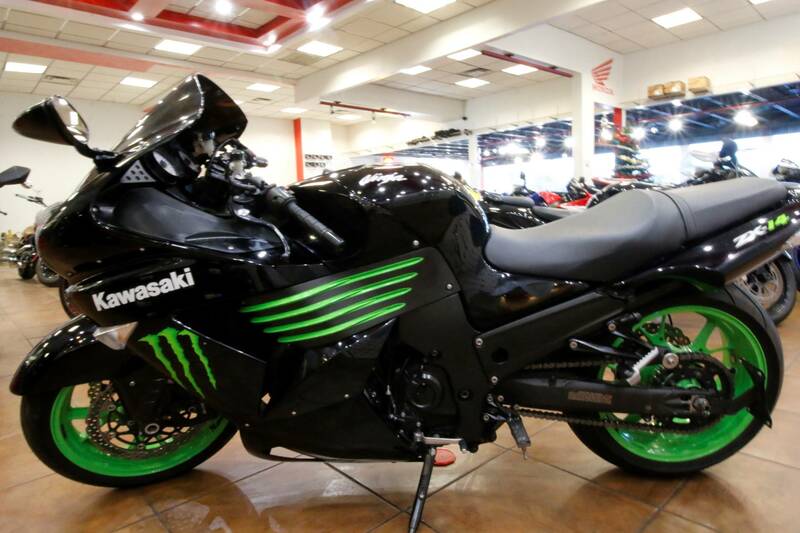 Dressed in all black, it promises a cranked-up heart rate for anyone with a pulse, thanks to the black bodywork, frame and pinstriped wheels, highlighted by an aggressive Monster Energy graphics package.